“Hoops” is a Free basketball tournament. “Hoops” is one of our annual free events. It takes place on National Health and Fitness Day in conjunction with our Ten Thousand steps event. There are snacks and prizes for teams in each category. Get a team together or just come by to watch the excitement and cheer on the teams! 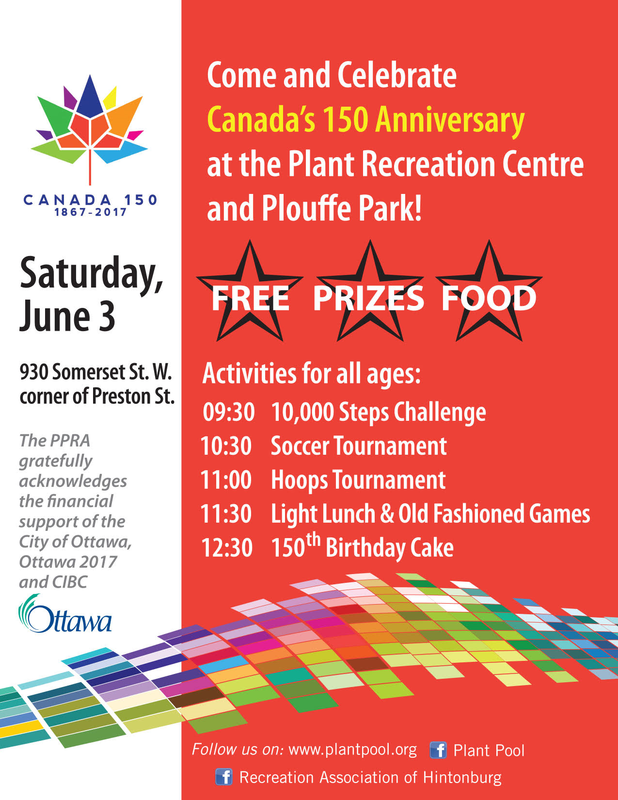 This event takes place on the courts at the Plant Recreation Centre 930 Somerset Street West the first Saturday in June annually. Saturday June 3, 2017, from 11 a.m. to 3:00p.m. or download a form and drop it off at the Plant Recreation Centre Front Desk Attention: PPRA Suzanne Nash.